It feels funny to just now be writing a review for Hitman. IO Interactive’s latest globe-trotting murder sandbox has taken the peculiar route of going episodic – an approach oft-loathed by players, and a first for a series of games that has otherwise consisted of $60 retail releases. This means that I’ve effectively been playing the game since this March, popping back in every few weeks to check out the latest episode (and inevitably sinking in way more time than I expected). Arguments over the pros and cons of this unconventional release schedule have dominated the conversation whenever Hitman is brought up, to the point where the average consumer has probably heard more about how the game was released than the game itself. As of October 31st, the entirety of Hitman’s first (and apparently not last) season is available for purchase digitally, with a retail release coming sometime in early 2017, so it’s finally out as a traditional, “complete” package that you can buy at a standard price. With all of this in mind, please set your feelings about episodic content, be they good or bad, to the side and allow me to impart the actual qualities of this video game to you. I feel pretty comfortable calling Hitman one of the best games of 2016. In a year where some of the most hotly anticipated titles seem to be letting players down, it joins the likes of Doom in overcoming skepticism and a questionable debut, winning countless players over through sheer quality. Absolution, the last game in the series, attempted to modernize Hitman but lost its way, becoming too linear and action-focused, losing a lot of what made previous games special along the way. As I mentioned in a feature I wrote earlier this year, Hitman combines the best of Absolution and the older games, and the result is a stellar sneak-em-up that feels familiar but innovates at the same time. The clunky controls, piss-poor shooting, and awkward animations of old Hitman are gone, but the impressively open-ended missions and compelling level design still remain, and are actually improved upon. The power of modern hardware has allowed for better environments, even larger crowds, and the most varied assortment of ways to take targets out that I’ve ever seen in a stealth game (with the possible exception of MGSV). Each mission in Hitman dumps players into a miniature open world with nothing more than the identities of their targets, a pistol, and a couple of gadgets of their choosing. From there, they must locate their quarry by exploring, listening to NPC conversations, and sneaking/shooting/stabbing through various layers of security. With the exception of going all-out guns blazing (which is still possible, though challenging), Hitman truly lets you approach scenarios however you’d like. Methodical players interested in pulling off the perfect assassination can learn patterns, non-lethally dispatch of guards, erase security tapes, and make targets disappear without a trace. Alternatively, those interested in thinking on their feet and improvising when things get messy can have just as much fun, exploring various “alternative” kill methods around each map utilizing novel items and traps such as exploding golf balls and precariously hung chandeliers. A new challenge system encourages players to try all of these methods, incentivizing replays by rewarding specific kills and feats with XP, which unlocks new gadgets, weapons, and features on each map (such as new starting locations). It’s rare that any game touts replayability to this degree, and more than makes up for the fact that there are technically only ten unique locations in Hitman, a lower number than series veterans may be accustomed to. Completing every challenge and unique kill opportunity each map has to offer can take over a dozen hours per level, and even if some maps offer more interesting opportunities than others, they’re all worth playing at least a half-dozen times- there’s just that much to see and do. 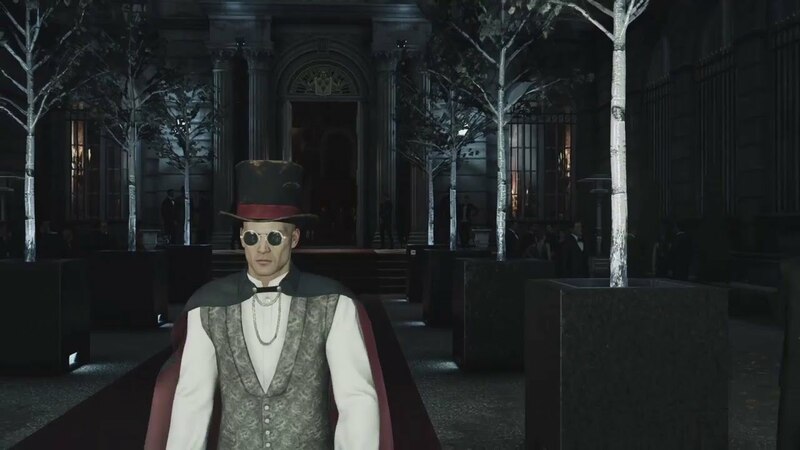 The biggest mistake a new player could make would be steamrolling through Hitman traditionally, completing each mission once, seeing the story, and stopping. Sure, you would still enjoy yourself, but it’s achieving mastery of a level and seeing all of the crazy stuff that IO has packed into the game that really makes Hitman rewarding to play. Also of note is just how approachable Hitman is, especially considering that it’s the sixth mainline game in the series. By default, Hitman is ridiculously noob friendly, offering a comprehensive tutorial and a lot of features that make the more complex nuances of these games a lot easier to deal with. The new “Opportunities” markers in particular let even the least-experienced players go after complex hits, allowing users to select how they want to kill a target at the beginning of a mission, then follow a step-by-step guide on how to accomplish their goal. These guided kills won’t net players the coveted Silent Assassin rating, and can be partially or completely disabled by series vets that like discovering kills on their own (such as yours truly), but if you’re just getting into the franchise for the first time, they allow you to complete virtually every unique kill in the game. To keep things engaging, IO has also included a number of alternative modes for when you’re sick of hunting and slaying the usual suspects. The player-created Contracts Mode makes a return from Absolution, allowing users to create and share custom hits on any of the hundreds of unique NPCs that roam Hitman’s many locales. These custom hits can be made as complex or simple as players would like, and offer a hypothetically endless stream of content for those interested. Importantly, each map’s challenges can be completed from within Contracts mode, meaning that playing it actually factors into your overall progression and can earn you unlockables, just like proper campaign missions. This lends Contracts a sense of meaning that they didn’t quite have in Absolution, so I found myself playing them far more regularly. Also included is a brand new mode called “Escalations”, a series of missions created by IO that task you with completing the same hit over and over again, adding a new wrinkle upon each successful completion. You might start with the singular goal of taking out a target with a knife, but by your fifth run you’ll have to complete that same goal while; hiding all bodies, never getting spotted, and pushing your target’s bodyguard off a ledge, all while wearing a vampire/magician outfit (no, really). The change of pace provided by Escalations is a welcome one, and a completely different kind of challenge than anything I’ve seen in other stealth games. The real stars of the show, though, are Elusive Targets. What many players, myself included, assumed to be a dumb gimmick designed to convince players to buy the game before it was “finished”, is actually one of the most inspired ideas in the game: a series of unique, challenging public events that have kept players talking since the game’s initial release. These time-limited hits regularly introduce gimmicks found nowhere else in the game, such as a pair of identical twins, one of which must not be harmed, and a target without a visual description, who had to be identified through behaviour alone. Oh yeah, and Gary Busey. Of course, all of the aforementioned missions have come and gone now, but IO has assured fans that more are on the way post-release, so even if you’ve missed out on everything up to this point, you can still try your hand at a few if you pick the game up sometime in the next few months. Unfortunately, there are a few glaring issues that need to be addressed. Performance in particular, has been a bother since launch, and although many steps have been taken to improve stability, there are still a number of issues, particularly on console. The worst of all these are the downright nasty load times, which regularly take upwards of forty seconds. While these might not be so bad if you’re the type who plays carefully and doesn’t get caught, those who like to experiment and run wild will probably find themselves dying often, and the subsequent load times feel downright punishing. Also, while the game looks very nice, especially when dozens of NPCs are interacting onscreen, the framerate fluctuates far too often. Fortunately none of these faults persist on PC, especially since DirectX 12 support was patched in this summer, but it’s a shame that those without money to throw away on a decent gaming computer have to put up with an inferior experience. A more universal, and therefore controversial problem with Hitman is the game’s always-online infrastructure. Without an internet connection, players lose access to progress and challenges, and any progress made while offline will not count once the connection is restored. Additionally, if your internet or Square’s servers drop out for even a second during play, you’ll find yourself kicked back to the main menu, something that lead to countless complaints, especially during launch week when servers were being pushed to their limit. Since then I haven’t had a single dropped connection, so the servers seem to be doing their job, but for players with less-than-stable WiFi connections this will continue to be an issue, and I seriously question the decision to implement this “feature”. It does need to be said that the game is technically playable offline, albeit with most modes and features disabled, but so far Square Enix and IO have been unable to give a reasonable justification for this incredibly restrictive DRM, and many players are still having issues. Aside from these unfortunate technical missteps, the only other element of Hitman I can say anything bad about is the plot, and my feelings aren’t on it aren’t entirely negative. Those expecting a compelling or character-driven story (if you’re familiar with Hitman, chances are you weren’t) will be let down, but that’s not what this game is about. Like it or hate it, the story only really exists to give you targets to kill, and bring Agent 47 to various exotic locations. Sure, it lightly reboots 47’s origin story and introduces a new, Illuminati-like faction to the Hitman universe, but it’s not actually trying to say anything, and I think that’s fine. The bit I’m actually critical of is the unsatisfying conclusion. Most of Hitman’s very limited cutscenes are dedicated to building the mystique around a new antagonist, and season one ends without any real answers about who he is or what his motivations are. The final episode’s ending isn’t terrible (you still get to kill a significant plot figure), but those worried that the retail release wouldn’t be a ‘complete’ game now have a leg to stand on, even if the amount of content you get for your $60 is pretty substantial. With all seven episodes finally released, I feel confident proclaiming that Hitman is the best game in the series to date. It’s got all the features and open-ended gameplay of Blood Money with none of the clunk, each mission looks and plays fantastic, and the various modes and settings have something to offer everyone, from the stealth game newbie to the Hitman pro. Despite some technical issues and shady DRM, I would still give a hearty recommendation to anybody on the fence about buying it, even if they’ve had a hard time getting into previous games in the series. It’s hyper-approachable, the levels are immaculately designed, and the mechanics have been honed to near-perfection. Absolution may have attempted to be the assassination game for the masses, but Hitman is the game that actually pulls it off.